RC Flight Simulator Tips, Advice, & More! Just in case you don't know what an RC Flight Simulator is. It's a program that is loaded onto your personal computer that replicates the flight of RC helicopters, airplanes, gliders and quadcopters/multirotors. It may come with a simple RC radio (controller), a gutted out radio with a USB cable, or come with a USB adapter so you can plug your existing RC radio into the computer by way of the trainer port on the radio. There are even wireless USB adapters available now to connect your radio. RC simulators are used as a learning tool to practice flying RC aircraft, or they can just be an immensely fun and relaxing program to play with on your computer. My first simulator was RealFlight (first version) way back when. Things sure have improved over the past two decades! The latest version, RealFlight 8, offers so many aircraft types, environments, wonderful graphics and physics emulation. A great value! If you are undecided between airplanes, helicopters, or even quad/multi rotors, a simulator might help you out. The good ones have a large number of planes, helis, and quads, so you can fly dozens of different aircraft to get a better "feel" for each flying discipline. 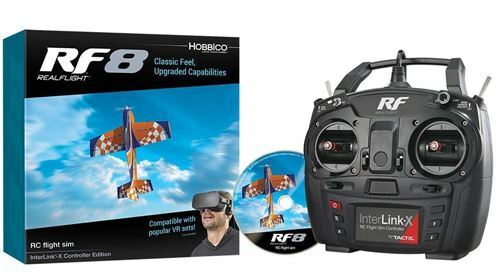 So do you really need an RC Flight Simulator to learn how to fly an RC helicopter or RC airplane? If I had dollar for every time I get asked this, I could bank roll my entire RC helicopter obsession! I'm pretty polarized to the rest of the thinking on this question with my short answer being NO, you don't need an RC Flight sim to learn how to fly! Now before you start thinking to yourself, "this guy is even more nuts than he sounds" (which is not too far from the mark I assure you), let me quantify that statement. Remember that is my short answer, the long one is a little more in line to what you may be thinking. 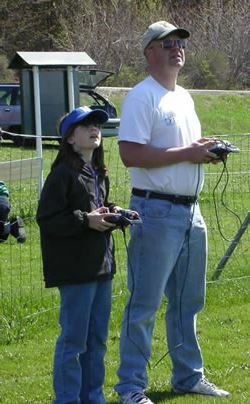 You see, thousands of us learned to fly RC without an RC flight simulator - including me. When I was learning to first fly RC planes and then later on, RC helicopters; personal computers of they day (the Apple 2 for example), simply didn’t have enough power to create realistic physics of flight or realistic environments to fly in. Affordable, practical, and truly useful RC flight simulators were still at least a decade away! So for anyone to say you must have a sim to learn to fly RC aircraft is simply not true - again short answer! Moreover, so many RC aircraft these days are coming with pretty sophisticated stabilization systems making them quite easy to fly in easy mode, stabilization mode, or safe mode; further making a simulator not quite as useful of a learning tool (for basic flying anyways). With helicopters, I personally find RC flight simulators more beneficial once the student has mastered tail in hovering and is ready to progress to circuit exercises, and of course progressing from circuit flying to more advanced flying and aerobatic practice. For planes however, RC flight simulators are immensely useful right off the bat. With a plane however, you and your bird are committed to the flight the moment there is air between the wheels and the ground. So, hopefully you can appreciate how simulator time will help more at first when learning to fly a plane over a heli, and naturally continue to help as you progress. 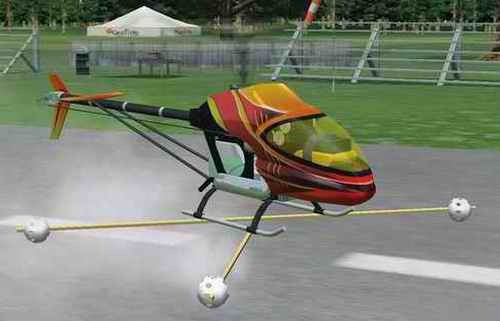 RC helis and planes are very different, and as such, RC flight simulator usage differs as well. Time on an RC simulator will of course help you learn what the sticks on the radio control & give you a good idea of how collective pitch RC helicopters behave, but learning to hover the real thing is so different than it is on a sim. 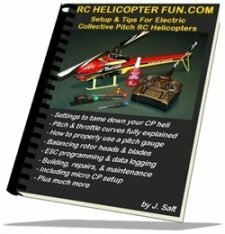 In my opinion, and that of many other folks who contact me; an RC sim's biggest strengths when learning to fly an RC helicopter start shinning through after you master your tail in hovering exercises, when progressing to new orientations other than tail in. The sim will help even more afterward while progressing to circuit flight, all the way up to the craziest 3D flying you can conjure up in your imagination. You know, the kind of stuff you wouldn't even consider attempting on your real bird until you can do it with your eyes closed on the your RC flight simulator first. So, if you are learning to fly an RC plane, I highly recommend getting a simulator before you ever fly the plane; indeed, before you even purchase your first plane to see if you enjoy it. 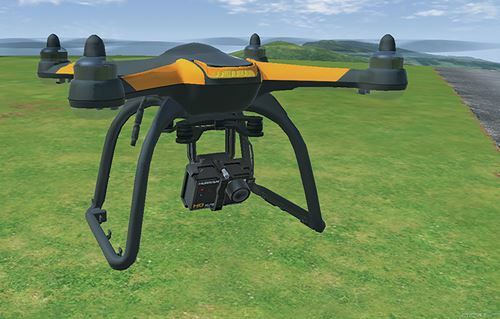 What About RC Flight Simulators As Learning Aids With Quadcopters? Well, I'm the wrong guy to ask since quadcopters are not my thing. I've really tried to get into them over the past 5 years, but helis are my love and passion - nothing can or will change that! I find quads so easy to fly, I don't see why anyone would even need to practice quad-rotor flight on an RC flight sim; in the same context I see almost no value practicing to fly a micro coaxial helicopter on a sim. Now, that is for basic flying around with a slower, fully stabilized, GPS enabled camera quad like a DJI Phantom or Mavic. If however, you are into (or thinking of getting into) FPV quadcopter racing, then I can fully appreciate RC sim time for honing the lightning fast reflexes and hand eye coordination needed to stay competitive. It's almost more real than the real thing when immersed in that virtual reality environment, especially if you use VR goggles. Even though I'm not into quads, quadrotor racing on a flight simulator is a crazy fun experience! For that 3D gaming experience alone, they are worth it. What makes a good RC Flight Simulator? That is an easy one – realism - the more realistic the better. That’s not just flight physics or graphics - the method of controlling your RC helicopter is just as, if not more important. Yes, you MUST use an RC transmitter/radio with your simulator. Be it a gutted out USB one, a wireless USB dongle, or your actual RC radio connected to the computer through the trainer port & USB adapter, as shown below. There are no exceptions to this if you want to learn how to fly a real RC model. You are after all using your simulator to build the fine hand/eye motor skills through your thumbs/fingers to the sticks on the radio. If you are using a joy stick or game pad, you are simply wasting your time. All the big name simulators are very good these days so the best advice I can give you is decide what type of flight simulation is the most important and then look for the sim that is best for that application. If you look at my heli flight simulator page for example, I highly recommend the AccuRC flight simulator because it has the best heli physics emulation going. If however I was more into planes, or wanted the best graphics going, I would pass on AccuRC and go with Realflight because they have way more plane models to choose from and stunning graphics. Also consider the computer you'll be using. Most only run on PC's. They are also rather heavy users of processing power and need fairly decent graphics cards to give a good experience. They all list the computer requirements and OS systems on their websites so be sure to check that out before making your decision. AccuRC for example list these recommend computer specifications which are similar with most of the more powerful simulators discussed here. GPU: Nvidia GeForce GT 610, Mobility Radeon X1800 or Radeon HD 4250, Intel HD 4000 Graphics (Mobile), Intel HD630 Graphics (Kaby Lake). Note: These minimum specs are based on our testing to reach 60FPS on low-medium settings with Anti Aliasing switched off. While we do not recommend using the sim with less than 60FPS, we found it to be flyable down to 30FPS so you may get away with lower spec hardware. Note: These recommended specs are based on our testing to achieve at least 60FPS on Ultra High settings. While looking at the recommended computer specifications on the the various RC flight simulator websites, also check into their updating policy. Most flight simulators now offer free updates, so the value is much better than it used to be. Feel free to look at my RC Helicopter Flight Simulator "Tips & Recommendations" page for what to look for in an RC heli sim, how to set up your simulator for realistic performance, and my own recommendations on several good RC helicopter simulators. Here are links as well to AccuRC, & RealFlight if you want to start checking out specifications and updating policies. It's really important that you follow some kind of lesson plan on a simulator. I have seen too many people who "incorrectly" learn on a sim and pick up some very bad habits. This actually sets them back and can take them longer to "un-learn" these bad habits on the real thing than someone with no sim time at all. As I said, RC flight sims are nothing more than tools, a destructive tool if used incorrectly. 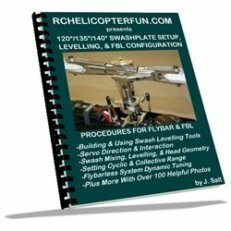 Check out my Flight School section and the lesson plans so you have an idea of how to learn to fly a real RC helicopter and then you can safely apply those same lessons or another recognized flight training program to your sim time. This next point is very important and I cringe when see or hear this. Thankfully it is the exception and not the rule, but it is worth mentioning. I have seen some advertisements and even heard some people in the RC hobby industry claiming that if you can fly an RC plane or helicopter on a simulator, you will have no problem flying real RC models. WRONG! A simulator as the name suggests is nothing more than a simulation. I won't come close to replicating all aspects of RC helicopter or RC airplane operation/ownership. RC flight simulators don’t teach you how to build a helicopter or set it up, nor do they teach you about basic flight principles/physics. No matter how good simulators get – they will never replace hands on experience. As I touched on, the "real" feel of hovering and all the little nuances of actively piloting a real collective pitch RC helicopter are not duplicated with a simulator but they do keep getting better. There is also the "Fear Factor" to take into consideration. This is BIG! Even with a hundred hours of simulator time under your belt, things have a way of becoming much more scary in the real world when you see hundreds or thousands of dollars hanging in the air. This "fear" generally causes you to panic, lose your nerve, and make mistakes, even freeze up. I've seen it happen so many times. To this day, I have moments of disorientation why flying and at times I will just freeze in total fear of what's going on. Yes - the fear of a lighter wallet usually wins out over the skills learned on the sim at such a moment. That is absolutely true. 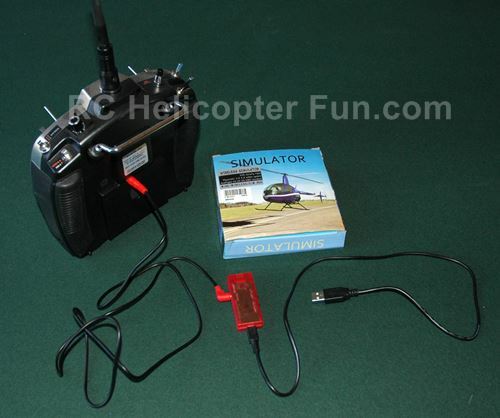 If it boils down to getting an RC helicopter simulator or spending that extra money to get a better quality RC helicopter with a computerized radio, and extra flight batteries or a good computerized RC battery charger, I do agree that spending your money on the heli gear prevails. Especially when first learning to hover. However, I know for a fact if I had a simulator program when I was learning, it would have paid for itself several times over and cut my learning curve time frame substantially! Bottom line is you don't need a sim to learn to fly; but let me tell you - simulators save time and money when used correctly and you understand the limitations. Try to budget for a good RC Flight simulator if at all possible. In the grand scheme of things, with all the other costs associated with getting into the hobby, a flight sim is a very small piece of the pie. One last point to consider when deciding if you should get a flight simulator when you are first starting out... Do you plan to take lessons from an experienced RC helicopter or plane instructor? Learning from an instructor when you are first starting out is the best way to go. 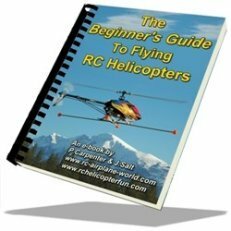 They can help you with your helicopter or plane setup, explain the concepts of flight, and of course teach you exactly how to fly them - safely! Unfortunately, there are many more people wanting to learn to fly RC helicopters and planes than there are qualified instructors. Have fun on your sim!